ITS SOME LITTLE.. BUT ITS GOOD! I THINK IT IS MORE BIG . Would definitely recommend this product, especially like having the the longer neck part to keep warm. I use it for dirt riding or street. Thought it might be too hot for woods riding but it's not. I can leave it on for single track here in the northeast if it's 45 degrees or colder. And on the street the neck piece does keep the wind out. 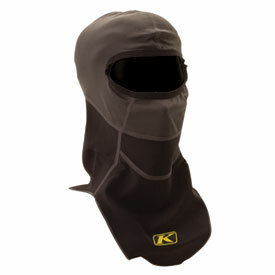 I replaced a Balaclava that was stretched and pulling out of my neck band every turn of my head with this Klim. It form fits and has a great Comfort fabric around the helmet opening, with warm neck mid layer that let you endure the chill in the wind. I recommend this for all cool to chill rides on any platform. The only beef i have with this is that they sometimes wiggle out from under your coat and leave your neck cold. otherwise a great deal! I was actually amazed at the amount of comfort this mask brings on cold days. Fits nice and thin under the helmet and does a great job keeping the wind off your neck. It packs down nice and small so you can keep one in your pocket or tank bag. I liked it so much I bought another one for a buddy. He loves his too. Highly recommend. Tried the least expensive ones, but this one really works. I love this balaclava. I do a lot of dual sport riding, around 6000 miles a year 50%/50% on/off road. I use a motocross helmet. A lot of air flow into the helmet through the eye port. This works great on keeping my face and head warm on cold days. It protects the exposed parts of my face from bugs and road debris. Plus you can just take it off a stow it in your pocket if the temperature warms up. I find that I like to use this pretty much all winter. I am much more comfortable since I started using this. I have owned a cheapo head sock aka balaclava, wore it for years. Wife got me the Klim one for Christmas. Its amazing, tucks down into a jacket and fits much better around the collar. And is less bulky under the helmet than the cheap ones. I have about literally 15 balaclavas to try to prevent fogging of my glasses. Most successful was a cheap neoprene half mask, but not very warm. 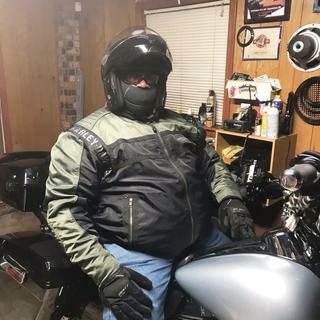 I tried the Klim Arctic and Covert, but the Covert made my glasses fog immediately so I bought the Arctic and it seems to be the real deal so far. It's a little warm and makes your helmet fit tight, but it works, and I can't say that for any others I've tried. Great mask. Keeps the cold off your head, face and neck very well! And as always Rocky Mountain was perfect! I had a more expensive Alpinestars balaclava that I lost sledding. This ones cheaper and works just as good. I use it while ATV ice racing under my MX style helmet. It gets cold outside but my face and neck are nice and warm. Klim does it yet again, fit is spot on, comfort is great, just what you'd expect. This is the best designed balaclava I've owned, no cold throat but no bulk either. I love this product. I use it in all sorts of weather, whether it is really cold or just cool and windy. Is long enough to protect my neck and very light but is exceptionally warm. Highly recommend! Does this item have a nose piece/breath deflector? BEST ANSWER: No,but you can put it over or under your nose depending on temps.This one works great. No it doesn't and if you wear glasses they will fog. No, I usually ride with the material not covering my nose and mouth. It's very soft thin material. The neck is thicker to block the wind. NO this model does not. I have another with nose snout but this mask in question does not. No, it does not. The gray fabric is "breathable", but the rest is not. Hope that helps!!! No, It stops on me just below my nose.